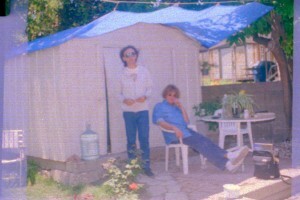 Richard Derrick and Kevin Ayers a few hours before Kevin’s flight home after the 1998 US shows, in Richard’s back yard, San Pedro, California. 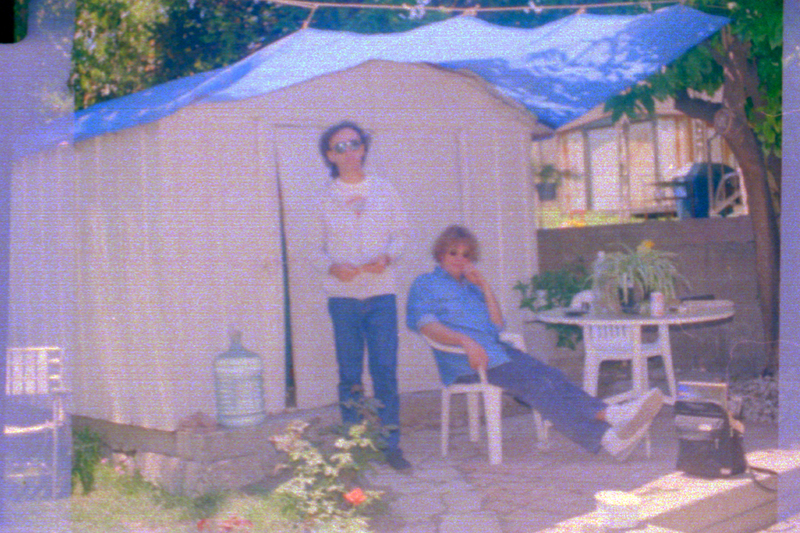 Richard’s CD is now out of print although there may still be a few stray copies of the Ayers album on Amazon and other distributors, but once those are gone, there will be no more copies to replace them. Richard’s label, Box-O-Plenty was shut down in 2011 and he can’t legally sell it anymore, which is why we need help to keep this valuable recording alive! Richard has tried contacting various people who he thought might be interested in re-issuing this album, but has so far drawn a blank. This is a real shame as it such a precious set of recordings. If you know of anyone interested in licensing or buying this release, feel free to put them in contact with Richard and myself at KevinAyers.ORG. The album is 66 minutes long, which makes it the perfect length for a two-record LP issue. 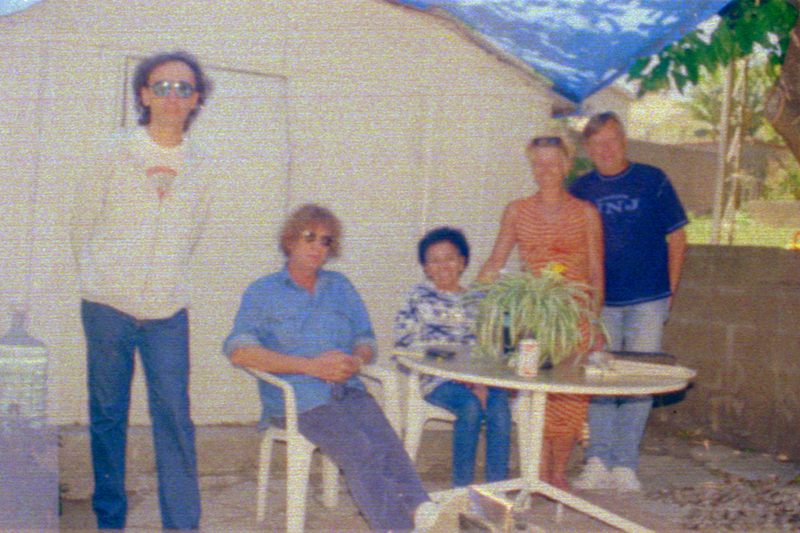 Richard very kindly sent one of his remaining copies to us to listen to and it really is quite incredible – you can read more about it the albums section: Kevin Ayers Alive in California. In the wheels within wheels that are all to familiar to the Ayers aficionados, I was on the same Music Forum that Richard used. I posted as ‘Grollope’, and my tuppenceworth was posted on that very thread. Small world!